There are many, MANY reasons why people become failures, such as the lack of meaningful opportunities, lack of proper education, underdeveloped communities and infrastructure, and many more. Still, many people become successful anyway DESPITE all of those setbacks. There are several things in life that we can’t control, such as the circumstances of our birth, the state of our community, and many more. Even then, there are lots of things we CAN control, such as how we spend our time, how we use our minds, and how we plan and build our future. We have to remember that almost everything we get in life is the result of our actions and mistakes. 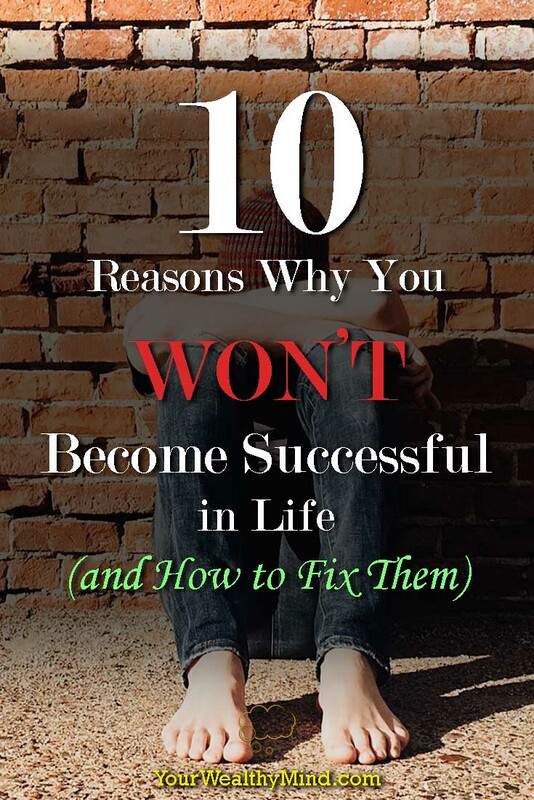 These are 10 of the most common reasons why most people don’t become successful, and how you can avoid them. If you want to improve your state of life and your future prospects, then you have to learn and find a way to make use all of these lessons. 1. You Have No Goals and Dreams. A lot of life coaches and experts like Jack Canfield and Brian Tracy taught this lesson: if you aim for nothing, you GET nothing. That’s true for most of us. It’s those of us who aim high and dream of becoming wealthy and prosperous who make the attempt, take well planned risks, and succeed. For everyone else, they only get something ordinary: a boring job that pays the bills, and nothing more. What do you want to achieve before you die? What are your greatest and most valued hopes and dreams? Whatever it is, make it your goal and WORK FOR IT. If you want to learn more about creating effective goals, then read this article about setting goals here. 2. You Don’t Believe That You Can Do It. Here’s a simple point. If you see a mountain in front of you and people tell you that if you can reach the top, you will get a thousand dollars. The trail through the mountain’s rocky cliffs, however, is quite dangerous. Knowing that, will you still climb the mountain? If you believe you can, you’ll likely try. You’ll likely seek help from guides and prepare your gear for the trip to make it much safer and easier, and you’ll certainly increase your chances of success. If you believe you CAN’T, however, then you won’t even make an attempt and you’ll leave that opportunity to earn a thousand dollars. Well here’s the thing, if you believe you can and you try, while there’s a chance you’ll fail, you can still SUCCEED. If you DON’T try, then you FAIL by default. That’s one of the main differences between successful people and everyone else. Think about it. You got to your job or business because you believed you can do it, or that you can learn to do it. For every better job that you could have done but you didn’t think you can do, you likely didn’t send your resume and you simply never took the opportunity to do something better. Believe in yourself and your own ability. If you don’t, you’ll miss all the opportunities that pass you by every day. For those opportunities that you DON’T have the skills and knowledge needed, why not LEARN what you need to make use of them? 3. You Complain, Make Excuses, and/or Blame Others. You’ll certainly feel powerless if you were chained to a post or buried neck deep in cement, so why would you do something similar to yourself using your own thoughts and words? Everything you say and think affect your actions, and your actions affect the world around you. You can use them to solve problems and make your life better. Why would you disable that ability by simply complaining about your problems, blame others, or make excuses rather than WORK TO CHANGE THINGS? Take responsibility for your life. That was Jack Canfield’s first lesson in “The Success Principles.” Stop complaining about things you can’t control and start taking charge of the things you CAN—your thoughts, words, and actions. Use the skills, knowledge, and the time you have to improve your life instead of wasting your lifetime complaining, blaming, and making excuses. Some of us earn three hundred dollars a month, some earn four hundred, and others earn six hundred or more. Why is it that no matter how much we earn, most of us have nothing left by the end of the month? The answer is simple. Whatever amount we earn, we unconsciously increase our spending in order to match it. Unlike eating where we learn to stop when we’re full, spending generally only stops when we have no more cash to spend (and when we can no longer borrow money to spend even MORE). Now what’s the problem with spending all of our cash? Simple. When we get sick or whenever an emergency strikes, we’ll have NOTHING to protect our finances. We’ll likely need to borrow money to pay for the medical bills or repair fees, and if we don’t handle our finances well, we’ll soon be buried in bad debt. What ELSE is wrong with spending everything we earn? Well, if an opportunity comes our way and we need money for capital or we need a little cash to support ourselves and our family while we adjust, we’ll have nothing to back us up. Thus, we’re stuck in a crappy job we hate and we miss excellent opportunities simply because we needed the paycheck to pay the bills. You stay in failure simply because you didn’t have any savings. Don’t forget this lesson taught by Orison Swett Marden: “nothing makes a businessman so absolutely independent as ready cash.” If you want to become successful, you HAVE to learn how to handle money well. There’s a saying, “you reap what you sow.” Everything you do and DO NOT DO today will directly affect your future. While some people go to the gym and read books to advance their businesses and career, others waste hours mindlessly watching TV or browsing the internet and social media (facebook) for gossip and entertainment. What do you do on your spare time? Indeed, you can waste hours on mindless entertainment, or you can spend a part of it wisely to improve yourself. Don’t forget that the more you know, the more opportunities you’ll find and use. It’s all up to you. Think about it. You can spend the entire weekend watching TV… or you can spend a few hours of that weekend reading about how to save and invest for your children’s college tuition, how to start a business, and how to have a financially abundant retirement. Again, it’s all up to you. 6. You Hang Out With Bad People. “Tell me who your friends are and I’ll tell you who you are” and “you are the average of the five people you hang out with the most” are two very famous sayings, and they should ALSO be taken as warnings. If you hang out with the blamers and complainers, you’ll join them in their failure olympics (“you think YOU have it bad? Wait until you hear MY problems!”) and get NOTHING done. Worse, you might get involved with users and abusers who pull you down, hurt you emotionally, and borrow money from you without ever paying you back. 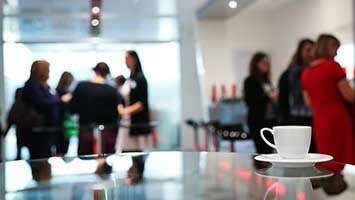 Always remember that it’s MUCH better to spend lunch and coffee breaks alone than to hang out with bad people. Choose great friends—people who are actively trying to improve their lives. You’ll be inspired by their example and you’ll likely become as successful as they are or better. 7. You Think Unproductive Thoughts. A lot of self-improvement books teach this lesson because it’s EXTREMELY important: You BECOME what you think about. Your thoughts affect EVERYTHING in your life. Think about it. Who always think about drinking beer and liquor? DRUNKARDS. Who always think about stealing wallets? Pickpockets and thieves. Who always think about robbing or mugging people for money? CRIMINALS. Now what kind of people think about improving their team or organization’s performance? Leaders. Who always think of creating new products and businesses? Entrepreneurs and businessmen. Who always think about what assets they should invest in next? Investors. Now which one of those would you like to be? It will all depend on what you think about throughout your day. Fill your mind with good and productive thoughts and you’ll soon achieve a prosperous future. 8. You Try to Look for Shortcuts. Most people know that becoming a master artist, doctor, businessman, or any other kind of professional requires a lot time and effort. If that’s the case, then why do most people think that wealth and prosperity is simply tied to luck and chance instead of hard work and wisdom? 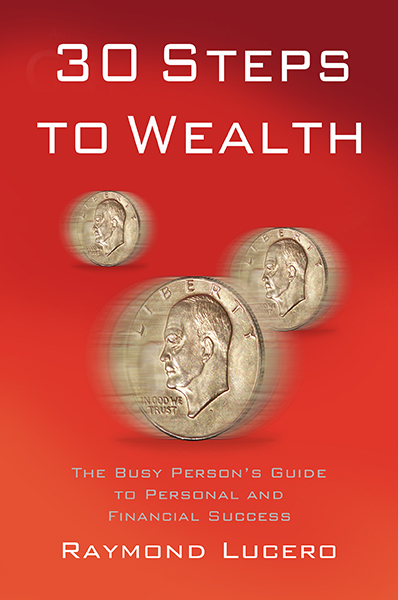 Far too many people try to find shortcuts to wealth instead of trying to work for it fair and square, and thus many people end up as failures all their lives. How many people get scammed by “sure win” investments? How many people lose everything in their bank accounts to “get rich quick” scams? How many people spend their life saving just to keep LOSING the lottery? Samuel Smiles once said that nothing ruins lives more than the “gambling instinct.” That’s the desire to gain money quickly without any thought or effort. Do NOT forget this fact: wealth and prosperity, and I mean REAL and LASTING wealth and prosperity, will almost always require great wisdom and hard work. There’s no other way around it. If you still want to try, however, then do so at your own risk. Don’t say we didn’t warn you, and when you DO get scammed or when your “get rich quick” scheme fails, you have nobody to blame but yourself. It’s MUCH more productive to find true and honest ways to earn wealth, and work on it diligently until you finally succeed. 9. You Stopped Learning and Improving Yourself. It’s said that one of the greatest mistakes you can ever make is thinking that education stops after graduating school. Oliver Cromwell, an English military and political leader of the 1600s, said that “he who stops getting better stops being good.” If you stop improving yourself, you get BAD. You quickly get left behind by people who continue practicing and learning to become better. It will be them who will get promoted and it’s them who’ll gain new customers while YOU, on the other hand, will be left behind and become bankrupt. Don’t let that happen. Never stop improving yourself. Always learn things that can increase your income, better your career, and increase your wisdom. If you don’t, you’ll most certainly become another failure. You can read the best and most useful books and articles all you want, but unless you USE the knowledge and wisdom you’ve gained, then all of the time and effort you’ve spent will just be wasted. It would also be a great disservice to all the writers, authors, and teachers who spent their precious time and energy trying to teach you things that you could use to improve your life. Just imagine paying for a street kid’s tuition so that they can earn a better future, but then you find out that he simply went back to the streets to beg for alms and sniff glue. That’s kind of what it’s like if you waste the skills and knowledge that people tried to pass on to you. Do not let that happen. You are the ONLY person responsible for improving your life, and you can CERTAINLY do it when you LEARN HOW. Isn’t it about time you started building a better future for yourself and your family? You’ll certainly thank yourself for it soon enough, and the sooner you start the better your chances of succeeding.